XXXIn the 1930s B-western actor Buck Owens (not to be confused with Buck Owens of "Hee Haw" fame), made appearances with circuses. 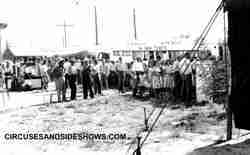 In 1946 he joined with Sy Rubens and started a small circus Titled the "Buck Owens Circus".The circus stared it's season in Springfield Missoura and ended in Florida. 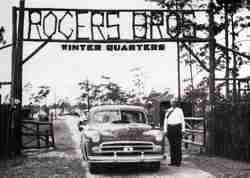 For the 1947 season the circus was re-named the "Rogers Bros. Circus". During the 1947 tour Owens and Rubens disolved their partnership. Rubens announced that the circus had been sold to a syndicate and he would stay on as manager. 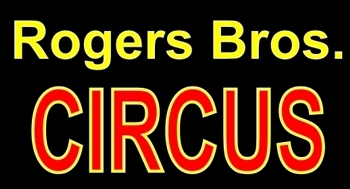 The show was then incorporated under the name "Circus Enterprises Inc.", however no one knew with any certainty who owned the show, most suspected it was still Rubens. 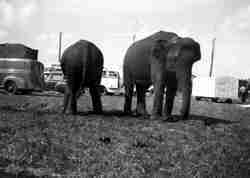 In 1949 the circus began wintering in it's new home of Fort Myers FL.